Sanganyi Juliette Kapuku, was born in Oakland, California on October 3, 1997 to Myango Kapuku and Namagosi Mukuluatende both from Bukavu, region of Kivu, in Democratic Republic of Congo. I spent half of my life in the Bay Area of California before moving to Houston, Texas. I am the oldest daughter of my parents, but second oldest child of five kids. Growing up, in school, everyone knew us as "The Kapuku's: The Congolese Family". Although I was known by my classmates as the girl with a lot of siblings, but such recognition brought a lot of pride to my heritage. I am proud to be born from parents of the Democratic Republic of Congo even though I have never had the chance to visit such a vast and beautiful country of the African continent. While in school, I have never failed to participate in cultural days and international festivals. They were my favorite to partake in because I got to dress up in African wear and share my African beauty. It was also fun to showcase my favorite country, the Democratic Republic of Congo and to provide people with facts that highlighted my thriving and beloved country, the DRC. From the very moment I could walk, my father who enjoyed playing soccer, placed a soccer ball at my feet and asked me to kick it. Since then, I have played. While in high school, I played competitively and practically any other chance that I've had ever since. Along with my passion for soccer, caring for children has always been a passion of mine. When I was in middle school, I devised a way to make my passion applicable to life and came up with the "Let's Help Someone like You and Me Foundation." Its purpose was to provide means and funds for children not only in Africa but also worldwide. Now that I am older, I plan on fulfilling such concept that started in the middle school dream to become a reality. At the moment, I am pursuing my higher education at Houston Baptist University as a biology/pre-med major. My objective is to become a pediatric oncologist. My heart goes out to all the sick children especially in Africa and in the world. I feel it is my calling to help in any way that I can when it pertains to children in need. When I am not learning, and/or playing soccer, I am involved in Young Life as a leader in the Alief ISD district, where I mentor children and teach them about Jesus. Young Life has taught me that we are not all privileged with the same means and necessities that many of us take for granted. I am lucky to be part of such a great program and I encourage others to join. As a swahili proverb states: "Anaye jitahidi hufaidi" which means "whoever tries hard will always succeed". These words of encouragement are one that guide my life. Regardless of the result of a competition, of a soccer game or even the way of approaching a child in need, I know that just trying and putting forth effort is all one needs to bring that change and to reach the soul. 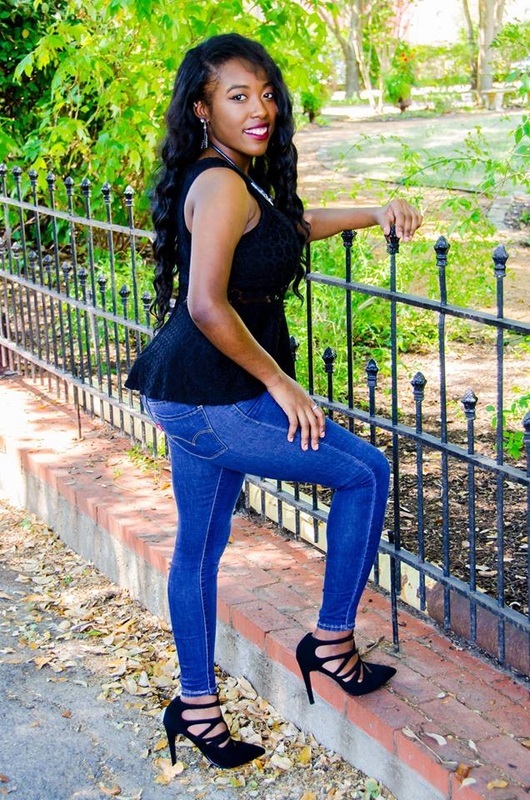 The Miss Africa Texas Scholarship Pageant is my first pageant where I plan to excel and to be the best I can be. For that, I am grateful to the organisers for giving me this opportunity to shine.